Location. 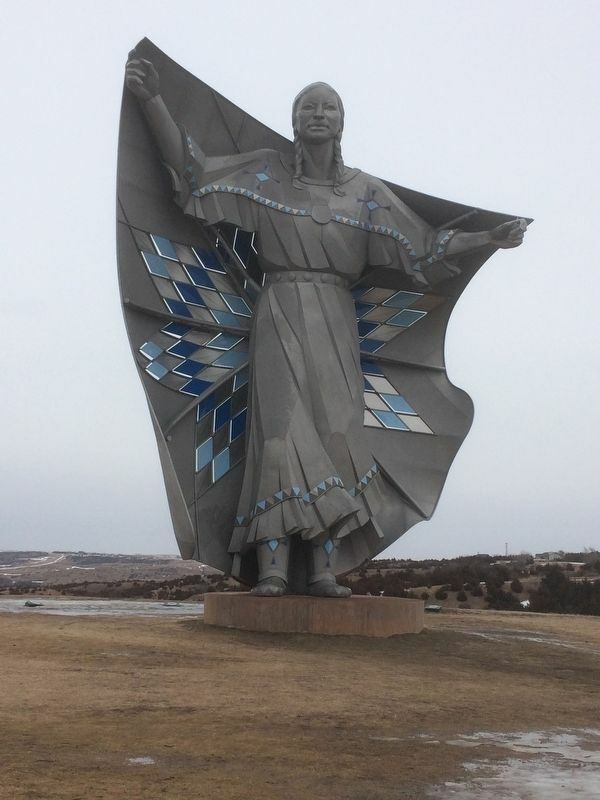 43° 47.227′ N, 99° 20.302′ W. Marker is in Chamberlain, South Dakota, in Brule County. 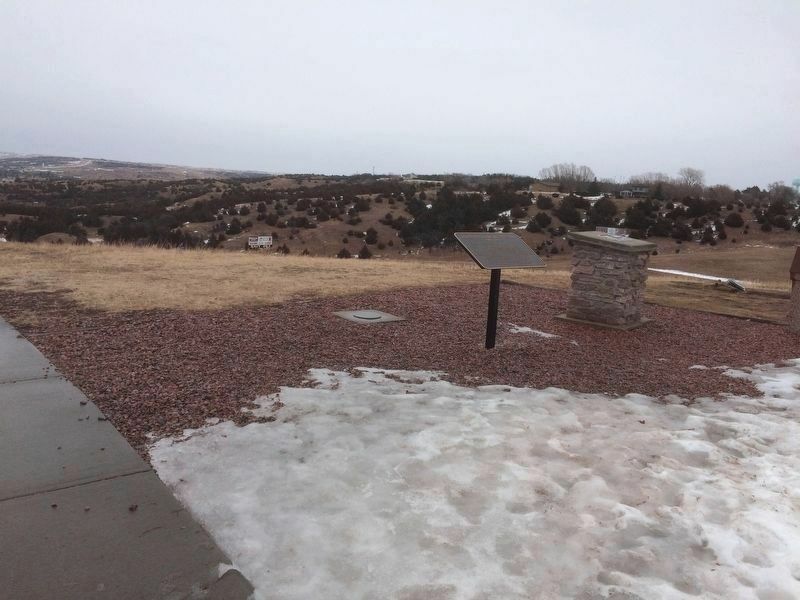 Marker can be reached from Interstate 90 at milepost 263. Touch for map. Marker is about 100 ft up a trail near the Dignity Statue. Marker is in this post office area: Chamberlain SD 57325, United States of America. Touch for directions. Other nearby markers. 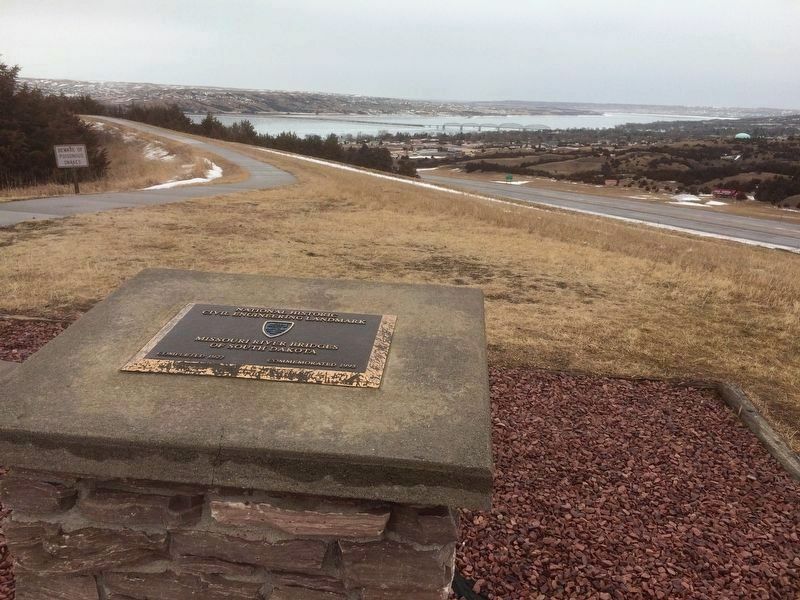 At least 6 other markers are within 2 miles of this marker, measured as the crow flies. Lewis and Clark Bicentennial 1804-2004 (here, next to this marker); Dignity (within shouting distance of this marker); Sojourn at Camp Pleasant (about 300 feet away, measured in a direct line); Purple Heart Memorial Highway (about 400 feet away); Lewis & Clark Memorial Bridge at Chamberlain (about 500 feet away); American Island (approx. 2 miles away). More. 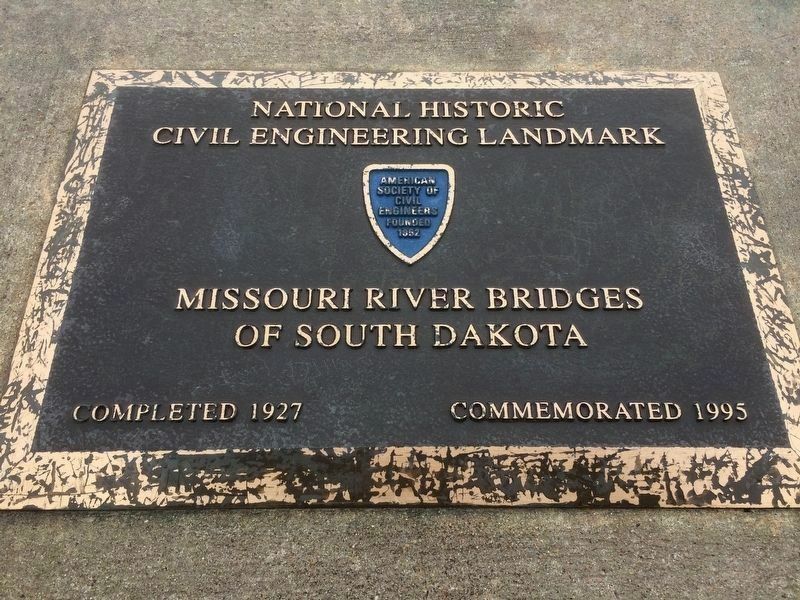 Search the internet for Missouri River Bridges of South Dakota. Credits. This page was last revised on February 14, 2017. This page originally submitted on February 13, 2017, by Ruth VanSteenwyk of Aberdeen, South Dakota. This page has been viewed 288 times since then and 11 times this year. Last updated on February 13, 2017, by Ruth VanSteenwyk of Aberdeen, South Dakota. Photos: 1, 2, 3, 4. submitted on February 13, 2017, by Ruth VanSteenwyk of Aberdeen, South Dakota. • Kevin W. was the editor who published this page.